Hollywood Recalibrated… what do you think fellow Indians? Excited I sat there with my friend, ready for my first movie experience in US of A. It was in one of the theatres, which had eight movie halls (a unique thing in 1998, for a person who was abroad for the very first time). Noida, where I was based, was about to boast its image by planning to have a three hall movie experience in Centre Stage Mall at Sector – 18. 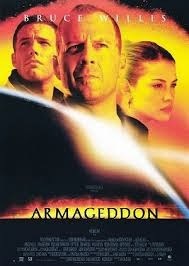 But I digress; the movie was ‘Armageddon’ with my favorite Bruce Willis starring in it. The film was wonderful through and through. It had that typical flavor of USA smugness (we didn’t mind, as long as we were entertained), that predicted doomsday for entire earth and only Americans can, somehow save the world. Towards the climax, we came to one particular scene, a two-second frame that made me cringe, as if one had encountered a speck of dust in the wonderful American stew. A little, tiny, speck of dust which grinds between your teeth, sending shivers down your body and spoils a tasty dish, you were relishing. The scene was something like this; the whole world is looking up to Sceintists at NASA, Bruce Willis and team, to rescue them from the catastrophe. At the background the ominous music played, a glimpse of every part of the world is shown, people are watching, praying, waiting. And in that two-second frame we glimpse our India. In the backdrop of the seventh wonder of the world, Taj Mahal, the camera focuses on an emaciated man in white dhoti and turban, with cataract eyes and behind him several such men are shown bowing down. My friend and I, in choreographed movements, turned towards each other. Sitting there in jeans, eating popcorn and sipping coke, both of us had the same question in our eyes. Is this what the world perceives India to be, even now, in spite of all our efforts? She being intelligent enough to study in USA with full scholarship. And me, thought worthy enough to be sent there for the final integration testing phase, for one of the company’s IT projects. 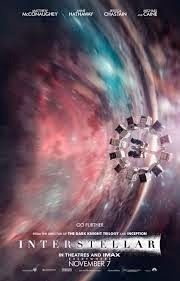 Hearing great reviews by everyone, including Rajiv Masand (who I have never seen happy with any movie), my family and me were looking forward to ‘Interstellar’ that Friday in November. 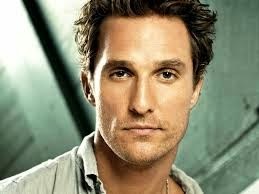 The hero, the handsome Matthew McConaughey (who at times I felt like was copying Tom Cruise. Fans, girls, please pardon me) chases a drone, stating it has been developed in Delhi…something… something, because in that stunned moment I couldn’t hear a single dialogue after he uttered Delhi. Only after confirming from my husband (had he heard what I have heard), I could sit and concentrate on the next scene. In sixteen years, from that turban clad old man to a data collecting drone, designed by scientists in Delhi, being studied by an excited Mr. Cooper. You have indeed corrected your course, Hollywood. It was high time… What do you think, fellow Indians?